C64 Studio is a .NET based IDE. 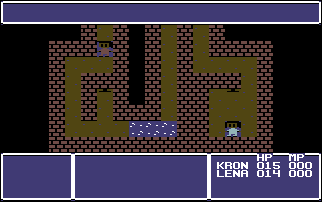 The program supports project based C64 assembly or Basic V2. The internal assembler is using the ACME syntax. 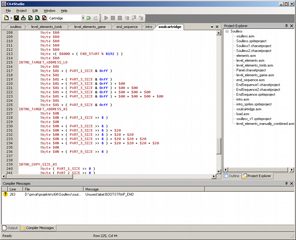 In connection with Vice the IDE allows you to debug through your code and watch variables/memory locations, registers and memory. Any other emulator can be set up as well if it's startable via runtime arguments. Additionally to this C64 Studio comes with a charset, sprite and media editor (tape and disk). 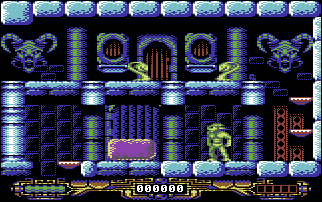 Although it's out for quite a while already, the next C64 game is there! A free download and also buyable media versions for fans and lovers of good old games can be found here or at RGCD. 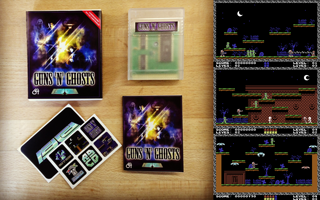 Fans of the real hardware can actually buy the game on tape or disk from Psytronik or on cartridge (if available) from RGCD. Another C64 project is done, Get ´em DX. It's a polished version of the original game from 2011. 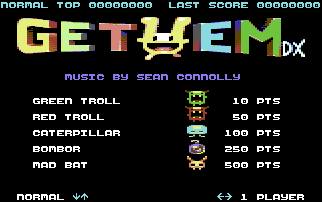 This time with spruced up graphics and real music and sound effects. You are Joseph J. Gunn. Archeologist by passion. By chance you stumbled upon an unknown pyramid in the desert of egypt. You suspect it to be the long lost tomb of the Crocodile King. The king whose name has been erased from history as if nobody should ever know of his existance. 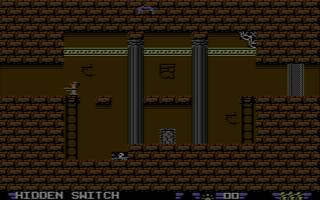 Control via port II, left/right to move, up/down to climb ladders and hold onto ledges. Push button and up to use an item, button and down to examine something. The fan made manual was created by Andy Haywood and is available for download with his kind permission. C64: What else needs to be said? A new game. For the C64. And in Basic! Oh teh noes! There's even a well done screen!